Legality of Portland voter-approved measure to be determined by ordinance before council on Wednesday. 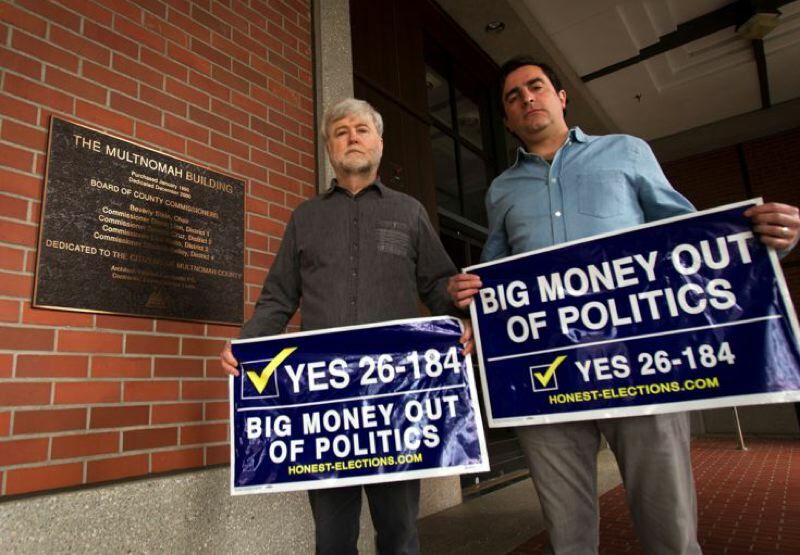 The constitutionality of the campaign finance reform measure approved by Portland voters would be tested in court under an ordinance to to be considered by the City Council on Wednesday. Portland voters approved the reform measure by 87 percent at the Nov. 6, 2018, general election. But a similar measure approved by Multnomah County voters was ruled to violate the free speech protections in the Oregon Constitution by a Multnomah County judge. The council will consider an ordinance to enact the city's reform measure on Jan. 16. But the ordinance also authorizes the City Attorney's Office to initiative a "validation action" in Multnomah County Circuit Court to determine its constitutionality. That was the process that ended up striking down the county measure. Reforms approved by Portland voters included limiting campaign contributions and spending. The council had previously adopted a public campaign financing program that is in the process of being implemented. You can read the ordinance here.